One of my children’s favorite Halloween Poem/Book is the Five Little Pumpkins. We have the Pete The Cat Five Little Pumpkins and we love when the pumpkins roll out on skateboards. 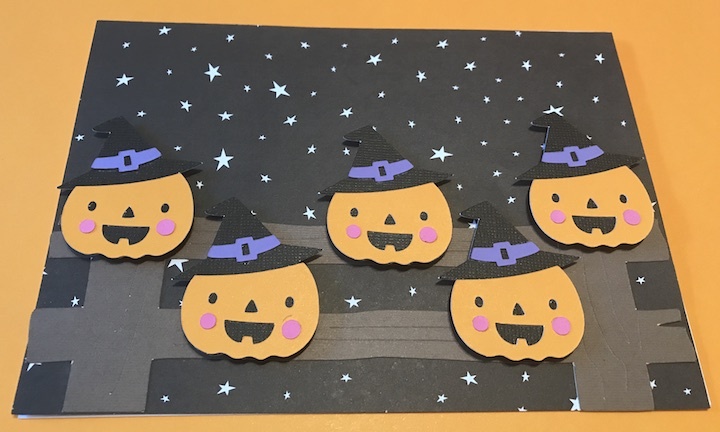 When I was looking at the images in Cricut Design Space and I saw the cute pumpkin with the witches hat, it made me think of the Five Little Pumpkins and I created this card based on the Five Little Pumpkins sitting on the gate. 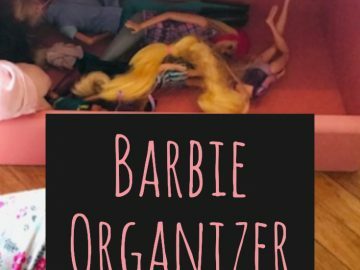 Below are some affiliate links and I may make a commission for purchases made through the following links. I created this card in Cricut Design Space and used my Cricut Explore to cut the pieces of the card. 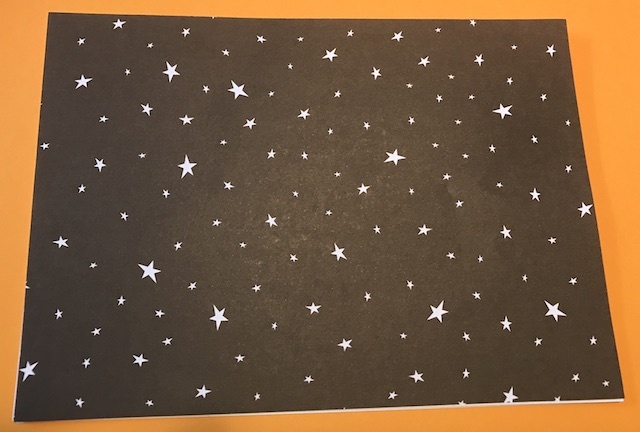 I made a 5×7 rectangle with the star paper. I use the 3L Repositionable Permanent Mounting Squares, 1/2-Inch x 1/2-Inch, 1000pk, White to attach the star rectangle to the card. 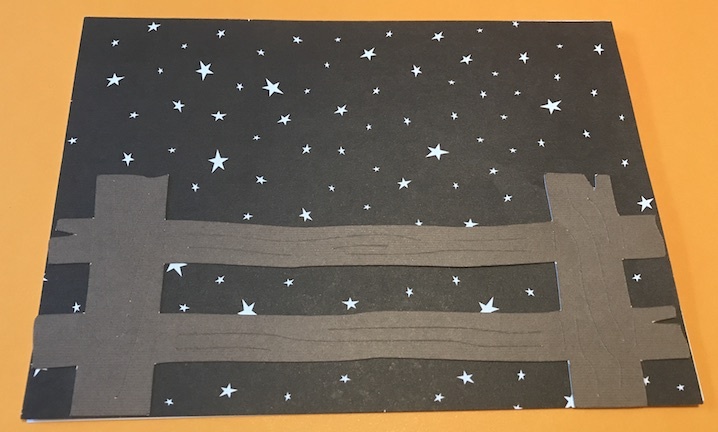 Then I made the fence to go at the bottom of the card and sized the pumpkins so all 5 of them fit on the fence. For all the pieces of the pumpkin, Happy Halloween, the ghost and the witch I used the EK Tools Zig Memory System 2-Way Squeeze and Roll Glue Pen, New Package . I put some pumpkins on the top rail and some on the bottom rail. 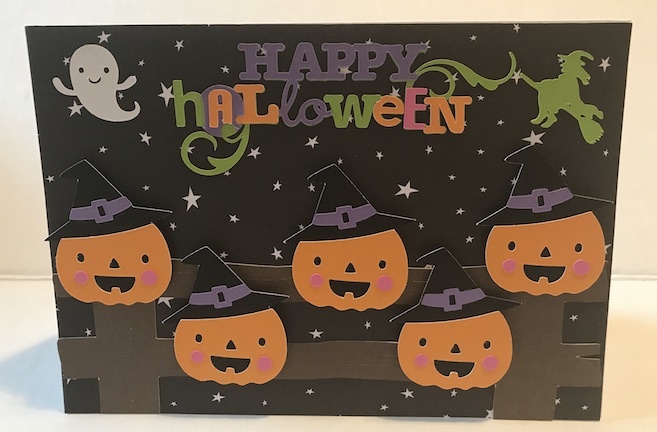 I used Forever In Time 3D Pop Dots Square Dual-Adhesive Foam Mount, 1/4-Inch, 528 Per Package for the pumpkins so they stand off the card and give it a 3D look. This card is so adorable and makes me wish it was halloween today! Then I added the Happy Halloween and the ghost and the witch flying in the sky just like in the Five Little Pumpkins. 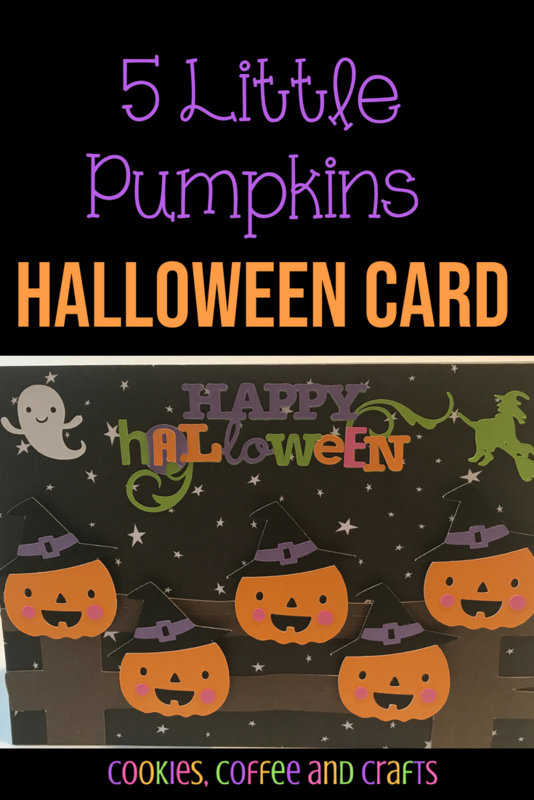 This handmade halloween card is based on the 5 Little Pumpkins, a favorite halloween rhyme for kids. This fun design is perfect to wish the kids a Happy Halloween!